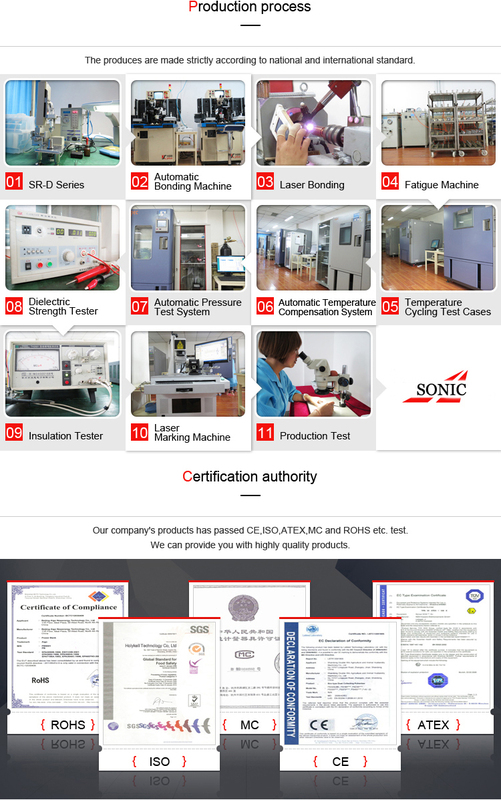 Wall clamp-on ultrasonic flowmeter_Dalian Sonic Meter Co.,Ltd. 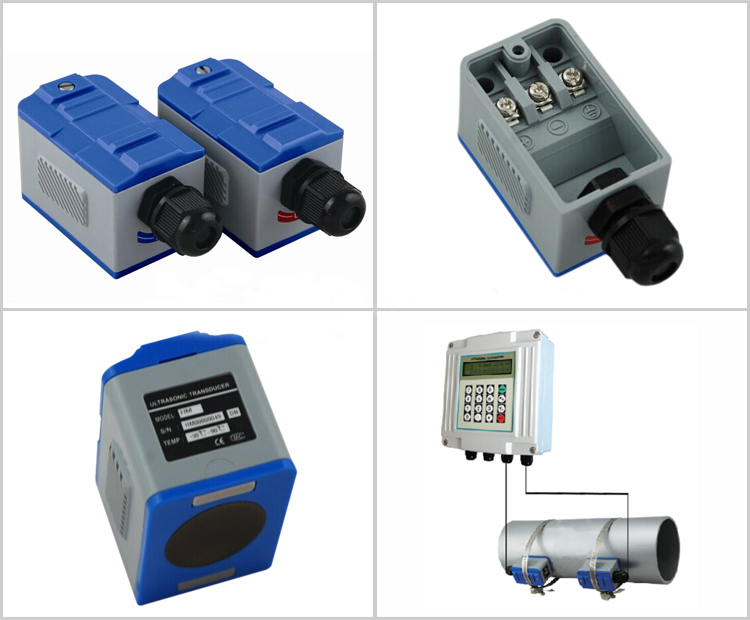 Wall-Mount Ultrasonic Transit-Time Flowmeter: The FV2000 Ultrasonic flowmeter General Purpose Wall-Mount Clamp-on Ultrasonic Flowmeter is the first member of the 7rd generation ultrasonic flowmeters from sonic meter. Compared with the predecessors, the 7rd generation ultrasonic flowmeters offer better performances and a richer feature set, all at a lower price. The FV2000 Ultrasonic flowmeter is designed to be installed at a fixed location for long-term flow measurement from outside of a pipe that carries pure liquids and liquids with minor suspended particles. Wall clamp-on ultrasonic flowmeter utilizes cutting-edge technologies such as advanced transducer design, low voltage transmission, digital signal processing, and self adaptation to achieve high performance. As QUALITY is of crucial importance, all transducers are carefully paired, and all flowmeters are wet-calibrated in the factory to further ensure system accuracy and reliability. 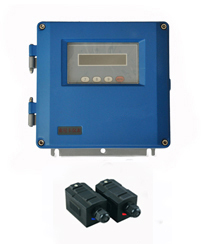 FV2000 Wall clamp-on ultrasonic flowmeter provides versatile input/output interfaces, such as digital and relay outputs, batch control, alarm, flow totalizing, 4-20mA output, and optional RTD interface for thermal energy measurement, which can be easily used by a host computer or a flow controller for process monitoring and control. Besides, the isolated built-in RS-485 port and the optional GPRS/GSM module make remote flow monitoring easy and reliable. Due to the non-intrusive nature of the clamp-on technology, there is no pressure drop, no moving parts, no leaks, no risk of contamination, no risk of corrosion, no pressure dependency and no blockage on the flow. The installation is very simple and requires no special skills or tools. The cost of installation, operation, and maintenance is lower than that of conventional flowmeters. FV2000 Ultrasonic flowmeter is an ideal choice for demanding applications where low-cost, high-performance and non-intrusiveness are a must. 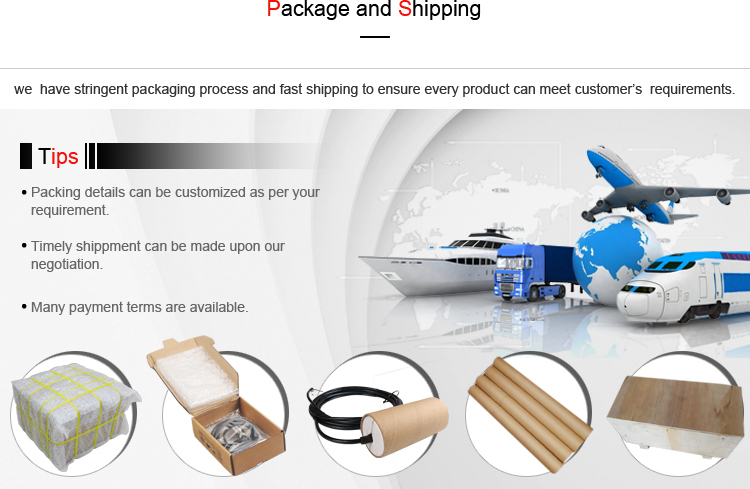 A pplications include, but are not limited to, liquid process control, water flow measurement (hot/chill water, city water, sea wat beverages, and many other liquids.
. Fixed ultrasonic flowmeter using a large integrated planning CPLD, surface mount technology, higher accuracy.
. High reliability, high performance, good applicability, the whole Chinese display, 16-bit 2-line, backlit.
. 1M database features, recorded over a period of time flow and total flow.
. on the power management function, can record 64 times before, the power outages and traffic, can be manually or automatically compensate for the reduced flow losses.
. fixed ultrasonic flowmeter can effectively overcome the wall attenuation of ultrasonic signals and rough inner surface of the pipe to ultrasonic signals scattered from the surface of the ultrasonic signal reduction of energy consumption.
. overcome the effects of a small amount of sediment, suspended particles and bubbles on the signal to improve the accuracy of flow measurement, especially for pipe flow measurement.
. Use special opening tool allows the sensor in the case of pressurized water stop installation, unique with pressure removal, installation method, does not affect the normal production, at any time to complete the online replacement and maintenance.